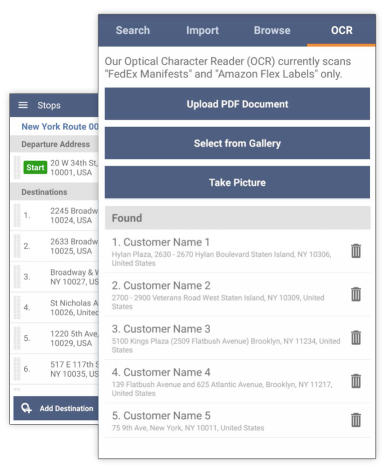 Route4Me automatically extracts the text from each image you upload to our mobile application and associates this data to the corresponding stop on your route. Sound attachments uploaded are also converted into text and associated with the correct stop on the route. Once the image and sound data are converted and stored, they can be searched for at any time. This makes it easy to find the exact stop and route from long ago when all you have to work with is some dusty old receipt.